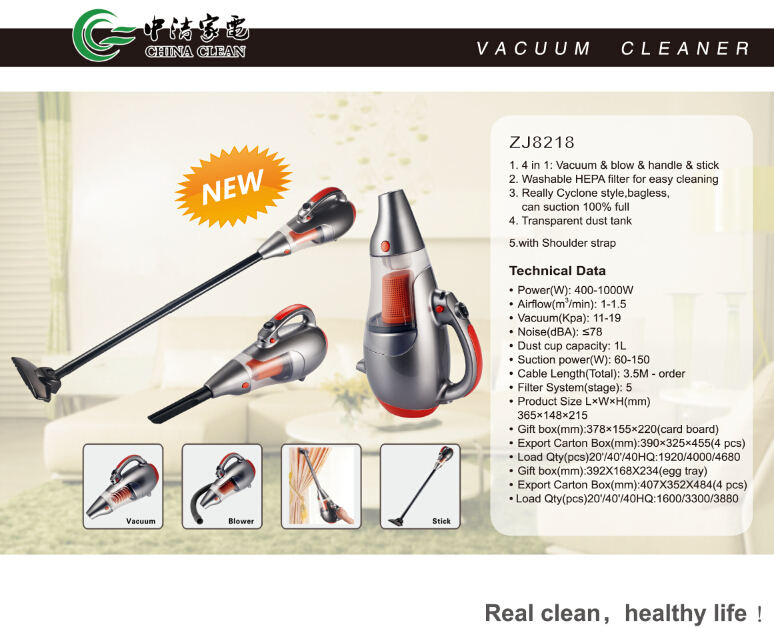 Product categories of 4 In 1 Vacuum Cleaner, we are specialized manufacturers from China, 4 In 1 Vacuum Cleaner, Hand Held Vacuum Cleaners suppliers/factory, wholesale high-quality products of 4 In 1 Vacuum Cleaner R & D and manufacturing, we have the perfect after-sales service and technical support. Look forward to your cooperation! This style is 4 In 1 Vacuum Cleaner. 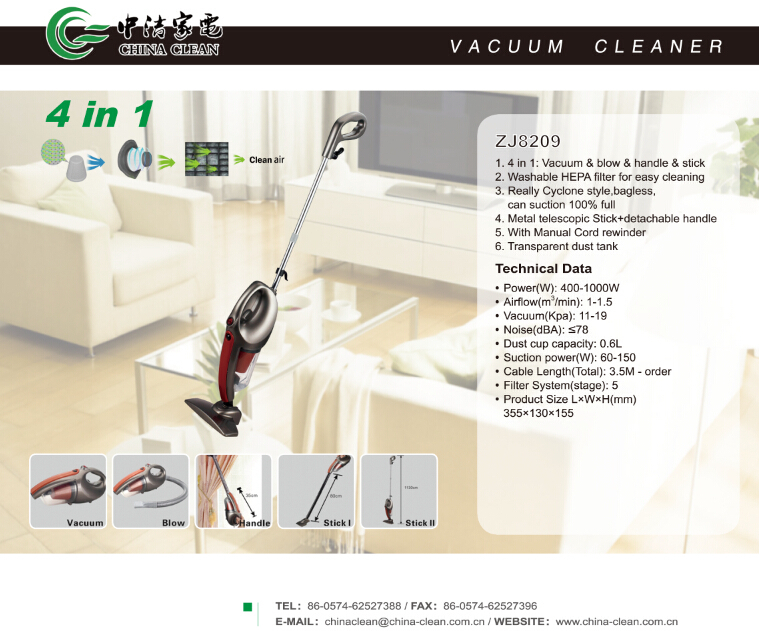 4 in 1 Vacuum Cleaner is a kind of Portable Vacuum Cleaner. It's easy to carry and use. So you can use in many places easily. This kind of vacuum cleaner is also very beautiful and useful. It is small in size and store easily. This kind vacuum cleaner is also a multi-cyclone upright vacuum cleaner for high separation rate,so it will make your cleaning more effortlessly. In a word,it is a very useful vacuum cleaner,hope you will like it.